Oh my gosh I haven’t posted since April?! I’m seriously the worst. But this is turning out to be the busiest summer ever! I will try to do better…starting now. I don’t miss a lot of things on my gluten-free diet….except beer. And I mean good craft beer. You all who have tried a GF beer know that it’s just not the same. BUT WAIT. 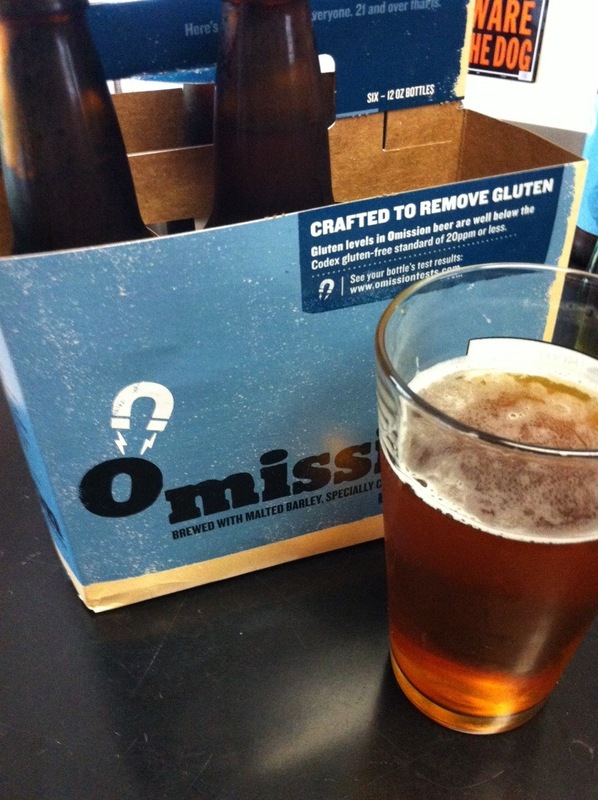 I recently discovered a new gluten-free beer called Omission. It’s different than the other GF beers in that it isn’t made with sorghum or an alternative to gluten-containing ingredients. It’s crafted to remove the gluten during the brewing process. And let me tell you it makes a difference! It tastes like a real craft beer, pretty similar to an IPA, but not as boldly hoppy. Great beer to have with food as well. I highly recommend you try it! It’s tied with Lakefront New Grist for my favorite GF beer, but they are quite different. I guess I’ll just keep drinking them both.